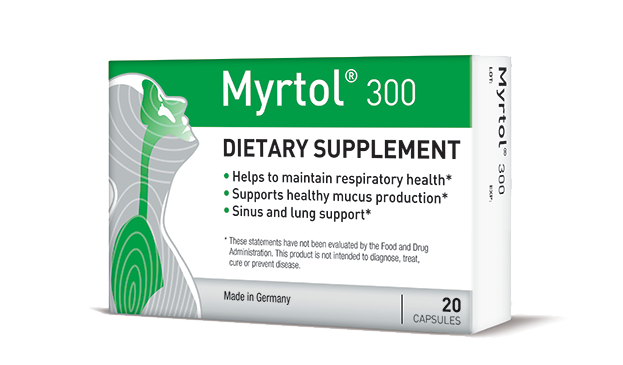 Myrtol® 300 provides lung and sinus support, that helps clear and maintain a healthy respiratory tract. And because it’s a dietary supplement, it’s available in America without a prescription. 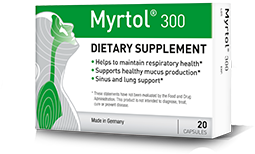 Created by Pohl Boshkamp, a leading pharmaceutical manufacturer, founded in 1835 with popular brands in 50 countries around the world, Myrtol® 300 sells more than 250 million capsules per year internationally. Millions of people trust Myrtol® 300 to support healthy mucus production.